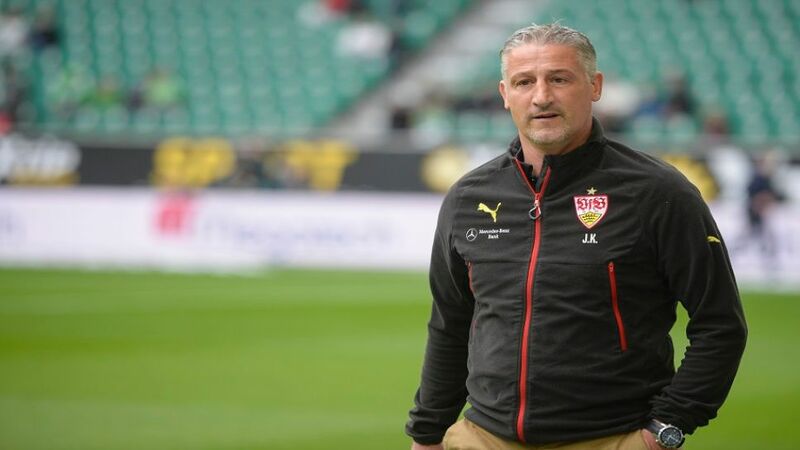 VfB Stuttgart coach Jürgen Kramny has been put back in charge of the club's reserves in the wake of the first team's relegation to Bundesliga 2 on Saturday. Kramny was promoted to the role of first team head coach in November last year on a caretaker basis following the dismissal of Alexander Zorniger. During the winter break he signed a permanent contract valid until 2017. However, following the Swabians' first relegation from the German top flight in 41 years, the 44-year-old has returned to his previous position for the time being. "If, and in what capacity Jürgen Kramny remains at the club after the summer break, will be decided over the coming weeks," read a statement on Stuttgart's official website. VfB have yet to announce who will replace Kramny at the helm of the first team next season.